Ask a question about 1111 Ritz Carlton Dr #1704, or schedule a tour. Location, Location, Location! Excellent Value! 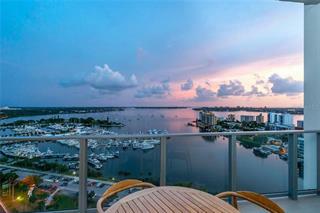 Don’t miss this rarely available, move in ready, 17th floor penthouse situated atop The Ritz-Carlton Hotel. 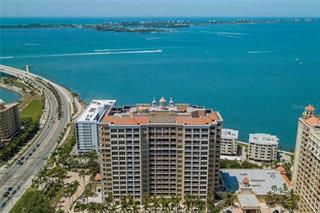 This penthouse comes with multiple balconies & captivating Bay, Gulf & city vie... more.ws. The gallery sized foyer opens to the custom designed 5,000 sq. ft. jewel in the sky. The gourmet kitchen boasts top of the line Miele appliances, Lubè custom cabinetry, center island, and a breakfast room w/breathtaking and bay views. The sunlit living room is framed by large windows providing an abundance of natural light. A separate dining room is perfect for all occasions with friends & family. 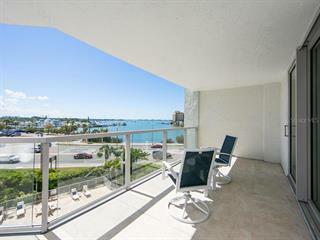 An intimate den with wet bar/library and walls of built ins create a special oasis to watch Sarasota’s magnificent sunsets. 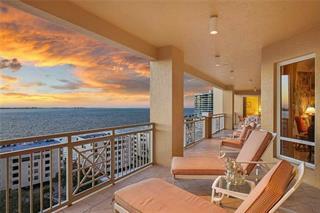 The enormous master suite is tailored with custom built ins, his/her large custom walk in closets, & private balcony. As an extension of the master the bathroom is also plentiful in size with large walk in shower, dual sinks, Jacuzzi tub, & custom storage cabinetry. 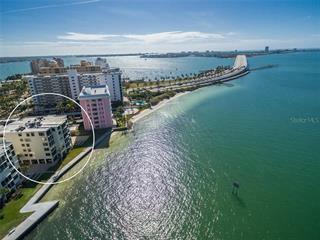 Private 2 bedroom guest wing with walls of glass and generous closets. This penthouse at The Ritz-Carlton has a full-time concierge, valet parking, in-house gourmet dining, beautiful grand lounge overlooking the bay, pool, fitness center and spa. 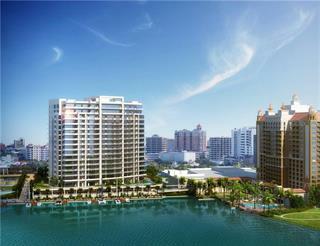 Just minutes to the exciting cultural venues, restaurants, theaters, art galleries, & shopping downtown. 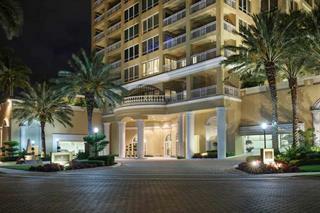 Enjoy additional amenities i.e. golf, tennis, spa, & beach club when you join the Ritz-Carlton Beach & Golf Club – You’ll love living here!